Do you enjoy drinking gin or vodka? How about a deliciously fresh tasting gin and tonic? 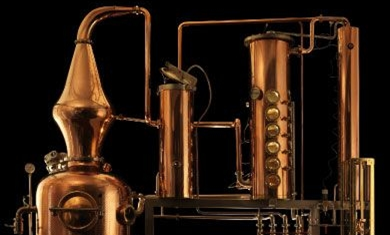 Have you ever wondered how they make vodka or gin? Join us for an exclusive ‘behind the scenes’ look at this fascinating process, led by the founder of Sipsmith Vodka and Gin, Sam Galsworthy. Sipsmith has leapt onto the London bar scene and is causing quite a storm with the city’s top bartenders and mixologists! Their top quality gin and vodka have won gold medals at the 2009 ‘Gin Masters’ and ‘Vodka Masters’ award ceremonies, and are enjoyed by those in the know, throughout London and indeed the world! Miss this at your own peril! • Discover the various unique ingredients used to make Sipsmith Gin – Macedonian juniper berries, Spanish orange peel, Chinese cassia bark, to name just a few! • Learn about the fascinating history of gin, and the “oh so very English” tradition of gin & tonic. Bon Vivant Members only pay £40 – that’s a saving of £10! This entry was posted in Events, Spirits and tagged Gin, Sipsmith Distillery, Vodka on 25 January, 2012 by adminfw.